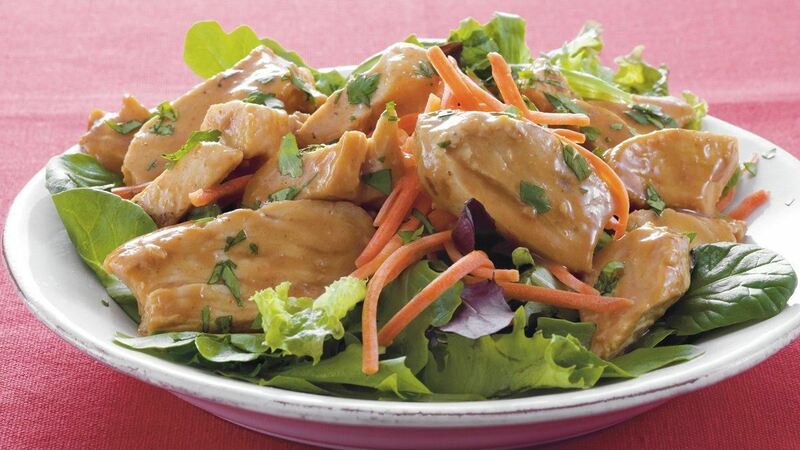 In medium microwavable bowl, mix chicken and peanut sauce. Cover; microwave on High 2 to 3 minutes or until hot. Divide salad greens and carrots evenly among 4 plates. Top with chicken mixture and cilantro.